Ladies, join us on March 1st for a much needed time of fellowship as we shake off winter and look toward the newness of spring. 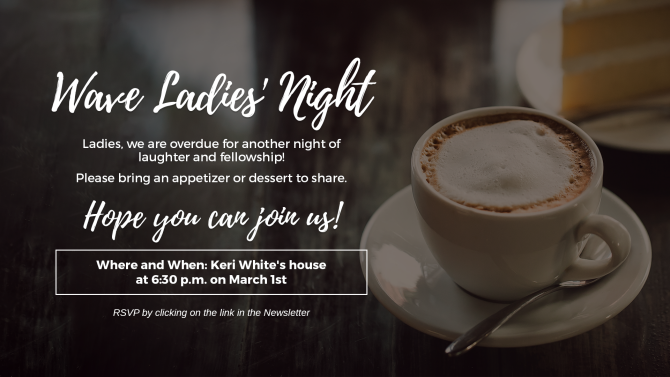 Please bring an appetizer or dessert to share Keri White's house at 6:30 p.m. on Friday, March 1st. Click above to RSVP or via the newsletter, and Angelina will be in touch with the address!